Brett Wessley is an officer in the U.S. Navy, currently assigned to U.S. Pacific Command. The contents of this paper reflect his own personal views and are not necessarily endorsed by U.S. Pacific Command, Department of the Navy or Department of Defense. Connect with him on Twitter @Brett_Wessley. Divergent Options’ content does not contain information of an official nature nor does the content represent the official position of any government, any organization, or any group. Background: Information Warfare (IW) has increasingly gained prominence throughout defense circles, with both allied and adversarial militaries reforming and reorganizing IW doctrine across their force structures. Although not doctrinally defined by the U.S. Department of Defense (DoD), IW has been embraced with varying degrees by the individual branches of the U.S. armed forces. For the purposes of this paper, the definition of IW is: the means of creating non-kinetic effects in the battlespace that disrupt, degrade, corrupt, or influence the ability of adversaries or potential adversaries to conduct military operations while protecting our own. Significance: IW has been embraced by U.S. near-peer adversaries as a means of asymmetrically attacking U.S. military superiority. Russian Defense Minister Sergei Shoigu recently acknowledged the existence of “information warfare troops,” who conduct military exercises and real-world operations in Ukraine demonstrating the fusion of intelligence, offensive cyber operations, and information operations (IO). The People’s Republic of China has also reorganized its armed forces to operationalize IW, with the newly created People’s Liberation Army Strategic Support Force drawing from existing units to combine intelligence, cyber electronic warfare (EW), IO and space forces into a single command. Ahead of this month’s meet of the Nuclear Supplier’s Group (NSG) in Switzerland, China has repeated that it does not support India’s entry into the group. Why does India want to enter the NSG? What do both NSG and India stand to gain from it? Why is China opposing India’s entry? All that, and more, answered here. Diplomats invested in on-going consultations at the Nuclear Suppliers Group (NSG) on India’s membership application have suggested that more member-countries now support India’s inclusion in the Group that lays out guidelines for exports of nuclear and related sensitive items. Yet, China’s apparent unwavered opposition to India’s entry to the NSG, that runs on consensus, continues to hurt New Delhi’s prospects. This logjam brings to fore larger questions for NSG members on what they see as the future objectives of the Group and how best could those be met. Two, and often conflicting, objectives that feature prominently in the NSG’s agenda are expanding the Group to include all nuclear suppliers in order to enhance its credibility, and including only like-minded countries that are committed to non-proliferation of nuclear weapons to improve its efficacy. Assessment of these objectives leads to the conclusion that including India would help NSG enhance its credibility as well as efficacy simultaneously. Just over a decade ago Nepal ended an internal war that killed 13,000 people and ‘disappeared’ an additional 1,300. Since then, the country’s peace has been an uneasy one. Yes, Anurag Acharya agrees it’s remarkable that Nepal’s leaders have managed to bring all sides of the armed conflict into a peaceful political mainstream, but the drawn-out political transition towards a secular federal republic continues to cause problems. Here are the details. This briefing sets out findings that arose from three workshops conducted in Siraha, Nepalgunj and Lalitpur, Nepal from January-February 2017, which included participants from 20 districts across Nepal. After the successes of the Capacities for Peace project1, the follow-up workshops highlighted a series of potential flashpoints for conflict in the country in the coming months and years as the country undergoes a process of constitutional change. Saferworld and our partners promote a people-centred engagement model that builds on existing local peacebuilding initiatives and empowers conflict-affected communities to identify their main security threats and respond to them in a constructive and non-violent way. Over time it is intended to lead to a greater understanding of conflict dynamics, which enables outside actors to support communities to reduce levels of violence while strengthening the capacities of those communities and actors to manage conflict peacefully. CHISHI, China — Soaring over a lush valley in southern China, the Chishi Bridge is a 1.4-mile-long marvel of concrete and steel. Four piers, like graceful tuning forks as tall as skyscrapers, secure cables suspending a four-lane expressway 610 feet above fields of corn and rice. Squinting up from a dirt road below, Gu Tianyong, a 66-year-old farmer, pondered the colossus, which is a shortcut linking southwestern China with the east coast. The Chishi Bridge is one of hundreds of dazzling bridges erected across the country in recent years. Chinese officials celebrate them as proof that they can roll out infrastructure bigger, better and higher than any other country can. 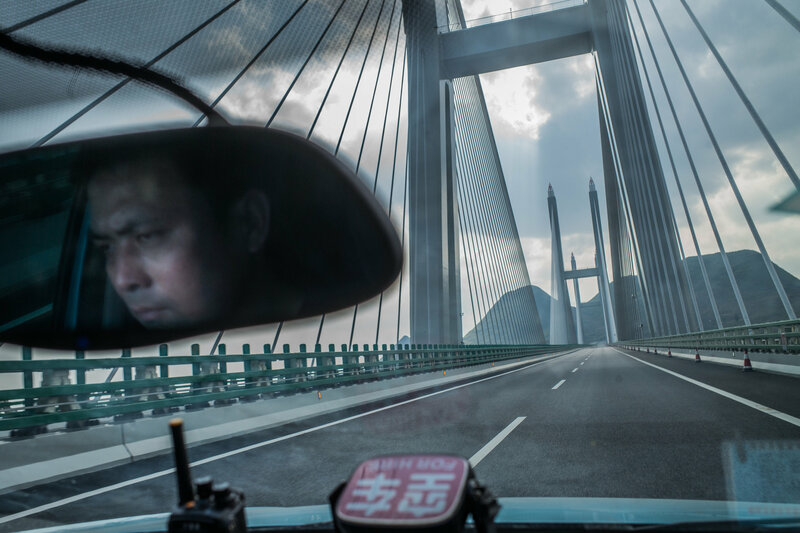 China now boasts the world’s highest bridge, the longest bridge, the highest rail trestle and a host of other superlatives, often besting its own efforts. The eye-popping structures have slashed travel times in some areas, made business easier and generated a sizable slice of the country’s economy, laying a foundation, in theory at least, for decades of future growth. Breaking down China’s electronic warfare tacticsThis organization appears to link the Chinese People’s Liberation Army’s space, cyber and EW missions. The report makes note that the SSF may represent the PLA’s first step in developing a cyber force that combines cyber reconnaissance, attack and defense capabilities under one hat. Importantly, it appears the PLA has taken note of U.S. Cyber Command’s structure that consolidated cyber functions under a single entity. In this time of political uncertainty, we can be certain about one issue. The battle against Islamist extremism is one we are losing. News of 23,000 jihadis living in Britain, each considered to pose at least a “residual risk”, indicates the breathtaking scale of the challenge facing us. The horse, as they say, has well and truly bolted. We need to learn lessons from previous mistakes, including our comatose response to growing religious fundamentalism. Yet the truth is we remain blind to the facts. With our liberal blessings, extremist preachers are free to promote their hatred, virtually unchallenged. Anjem Choudary radicalised hundreds, if not thousands of Muslims freely over 20 years. As a result, he influenced more than 100 Britons to carry out or attempt to carry out terrorist attacks at home and abroad. BEIRUT (AP) — Supported by crutches and a fellow Islamic State jihadi, Abu Shuaib al-Maslawi hopped on his left leg toward the explosives-laden black SUV that he would minutes later plow into a group of Iraqi troops in the northern city of Mosul. Then, turning toward the camera, the one-legged suicide bomber spoke his final words, urging Muslims in the West who cannot come to the extremists’ self-declared caliphate in Iraq and Syria, to carry out attacks inside their home countries. “I urge you in the name of God that before sunset may your swords be dripping with the infidels’ blood,” said al-Maslawi, who appeared to be in his 50s, with a long gray beard and a black Islamic skull cap. “Every drop of blood that is spilled there will reduce pressure on us,” he added, gripping the steering wheel. Iran’s parliament and the shrine of its revolutionary father were the targets Wednesday of what appears to be the Islamic State militant group’s first major attack on Iranian soil. In an operation that seemed to require a level of coordination not often typical of ISIS attacks in the West, gunmen and suicide bombers penetrated deep inside Iranian territory and attacked two symbols of Iranian political identity, killing at least 13 people and wounding dozens. The twin assault, the worst terrorist attack Tehran has seen in more than a decade, also came at a time of heightened regional tension, with Saudi Foreign Minister Adel al-Jubeir calling for Iran to be punished for what it deemed interference in regional affairs and various politicians weighing in on an escalating Qatar crisis. The shocking strike, coupled with the chaos, could mean an exacerbation of several bad situations if tensions aren’t quelled. Here’s what Guillaume Lasconjarias thinks – If NATO hopes to fulfill its Article V obligations, particularly against non-linear, hybrid threats that target whole societies, then it must focus on “a new kid in town” – resiliency. In other words, if Alliance members wholeheartedly invest in their collective ability to recover from systemic shocks and adapt to future risks and threats, they will create a broader foundation for collective deterrence and defense, and help fulfill NATO’s core tasks. Reading the founding document of NATO, i.e. 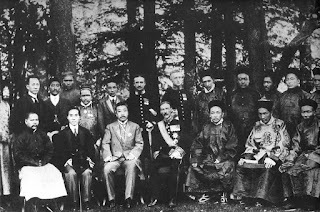 the Washington Treaty, it becomes apparent that the founder members had already thought about the principle of resilience. By committing themselves to be prepared and able to sustain any shock they might suffer (at that time, clearly in the form of an armed attack), the Allies knew that being strong at home would be a source of strength for the Alliance as a whole. And because nations would not only be prepared individually but also benefit from the added protection of the collective defence principle, this would make deterrence a reality. Even now, nearly a year after news first broke that Russian hackers had breached the Democratic National Committeeand published its internal files, a leaked NSA document pointing to Russian attempts to hack a voting-tech firm has again redefined the scope of the threat. 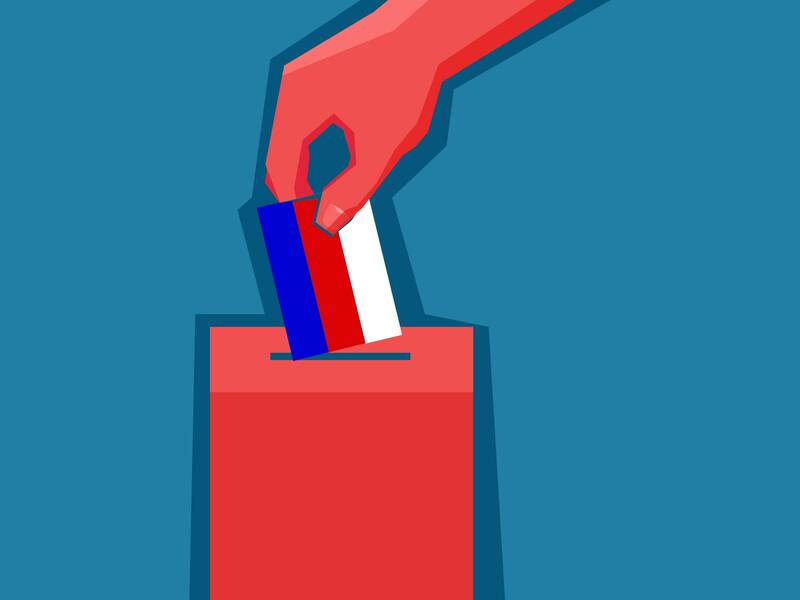 Taken with the recent history of Russia's digital fingerprints on foreign elections, it points to a disturbing trend: Moscow's habit of hacking democratic processes has only gotten more aggressive and technically focused over time. In an op-ed, the Trump administration’s 'adults in the room' portray America as selfish, isolated, brutish, domineering, and driven by immediate appetites rather than ideals or even longer-term interests. H.R. McMaster and Gary Cohn may not be the most influential people in the Trump White House. But the national-security adviser and the director of the National Economic Council are surely the White House’s most presentable faces. When they sign their names to a statement of Trumpism at its most dangerous, we are warned: The so-called adults in the room are shirking their responsibilities. On Tuesday, the Wall Street Journal published an op-ed bearing McMaster’s and Cohn’s names. It’s a good guess they did not actually write very much of it. However, they now own it—and the United States must bear the consequences. In the last three months, the UK has suffered the most intense surge of terrorist activity for more than a decade. But who has attacked us? The obvious answer is the Islamic State in Iraq and Syria (Isis). The group has launched a global offensive during the Muslim holy month of Ramadan. As a consequence, there has has been a surge of violence from Nigeria to the Philippines. In recent weeks, there have also been other attacks elsewhere in the west, though thankfully without serious harm. In Paris, a policeman was bludgeoned with a hammer, and in Melbourne, Australia, a woman was held hostage and killed. We do not know yet how closely the seven men responsible for these acts of violence were connected to Isis – even though the group has claimed responsibility for all of them. Salman Abedi, the 23-year-old student who attacked in Manchester, might have been in touch with Isis when in Libya only 10 days before striking. Khaled Massood, who drove a vehicle into pedestrians on Westminster Bridge and then stabbed a policeman to death outside parliament, appears to have been only inspired by the group. The shooting in Melbourne may not have been terrorism at all. The attacks in the UK involved only five men, as far as we know. With those in Paris and Melbourne, that makes seven. Do they share any characteristics that might help our security services to identify future attackers and avert future tragedy? HIS last Facebook post was perhaps the only clue of Raed Jaradat’s yearning for vengeance: it showed a Palestinian teenager lying dead with her headscarf soaked in blood and the message “Imagine if this were your sister.” Dania Irsheid, 17, had been shot by Israeli security forces in October 2015 at the entrance to the Ibrahimi mosque (Jews call it the Cave of the Patriarchs) in Hebron. Police said she had tried to stab Israelis; Palestinian witnesses say she was unarmed. The next day Raed, a 22-year-old accounting student from the town of Sair, near Hebron, went to a checkpoint nearby and stabbed an Israeli soldier in the neck before he, too, was shot dead. Later his 19-year-old cousin, Iyad, was killed during stone-throwing clashes with Israeli troops. Raed and Dania had never met but, at his funeral, their fathers said their children should be married “in Paradise”. Last Tuesday, in the wake of the latest terror atrocity to strike Britain, the former head of MI5 Dame Stella Rimington recalled just how primitive intelligence gathering used to be. Addressing a conference of security officials in west London – four miles from London Bridge where the terror attack had taken place three days earlier – Rimington recounted an anecdote about how her spy training in the 1970s involved infiltrating a local pub to eavesdrop on targets. Over the four decades since then, intelligence gathering within Britain’s security services has evolved beyond comparison. Eking out a lead is no longer an issue – instead extraordinary volumes of information are relentlessly harvested electronically. The worry, according to experts, is whether they are acquiring too much. The information-collecting machine grew even larger when the Investigatory Powers Act passed with little fanfare last November, handing UK intelligence agencies a comprehensive range of tools for snooping and hacking unparalleled in any other country in western Europe, and even the US. LONDON — In the weeks after Islamic State operatives struck Paris in November 2015, the group released a prerecorded video of the killers. They stared into the camera, waved serrated knives, raged at the West and specifically warned Britain: You’re next. Footage showed scenes of London through a gunsight. For the next 13 months, the Islamic State and those inspired by the group killed and maimed in Brussels, Berlin, Nice and Normandy as well as across the Atlantic in California and Florida. Yet the rhetoric against Britain began to feel like the frothy threats made by the group toward other countries that had avoided attacks, including Iran: loud and menacing but ultimately empty. Until now. The strikes in the past week against the capitals of the United Kingdom and Iran followed back-to-back attacks in recent months in Britain, by an assailant who used an S.U.V. to smash into pedestrians on Westminster Bridge in March and a suicide bomber at a pop concert in Manchester in May. “This is for Allah!” the attackers were heard screaming in the latest bloodshed in London as they plunged knives into their victims. From a publicity standpoint, the attacks in Britain and Iran are a lift to the Islamic State as it loses ground steadily in Syria, Iraq and Libya. Some analysts have interpreted the strikes as a bid by the group to demonstrate its resilience, even as its territory-holding caliphate slowly disappears. Robert Steele: Beyond the Paris Climate Deal – Can Russia Lead the Way? The President of the United States of America, Donald Trump, pulled out of the Paris Climate Deal for very good reasons – political reasons, economic reasons, cultural reasons, and intelligence reasons. He understood that the Paris Climate Deal is yet another attempt by the globalists led by the Rothschilds and the Vatican and the undisclosed higher levels of Freemasonry, to subvert all nations and all peoples for the profit of the 1%. The President of Russia, Vladimir Putin, has refused to condemn his fellow President, while also indicating that Russia will continue its commitment to the Paris climate change agreement, seeing no alternative. I humbly propose an alternative that has not been discussed. While some might dispute the science behind the climate deal, I do not. What I dispute is the assumption that we can continue with the Western economic and engineering practices that continue to favor the 1% over the 99%, and focus only on reducing the symptoms of those bad practices. I also note that there has been no discussion of the Western practice – largely led by the United States of America and its rogue Deep State elements in the military-industrial complex – of weather modification, nano-plastic pollution of water, and the deliberate federally-sanctioned sale of a wide variety of foods, beverages and medicines, especially vaccines, that are poisonous. The hidden agenda of the globalists is de-population. 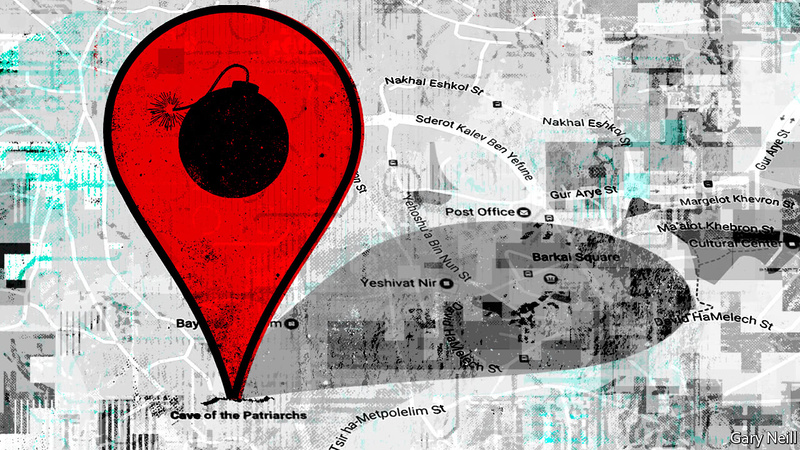 ISIS has become infamous for using the Internet to radicalize and recruit individuals worldwide. Lesser known, however, are the tech-savvy ISIS supporters who dedicate their time and resources not only to advancing the group’s goals but also to safeguarding its online operations. The cumulative efforts of these supporters represent arguably the most impactful factor in spiderwebbing ISIS material – especially given the unrelenting scrutiny to which their online presence is frequently subjected. Indeed, cyber jihadists are constantly pursued by law enforcement, their content is regularly suspended by social media companies, and their forums and message boards are routinely targeted in cyber attacks. Herein comes the role of jihadist information security or infosec channels: a decentralized group of tech-savvy jihadists who advise their comrades on protecting and anonymizing their online presence – which, conceivably, is the most critical element in the longevity of cyber jihadism. Today, jihadists’ overt abuse of social media and various Western cyber technologies plays an integral role in advancing ISIS’s goals. Despite the group's robust online footprint, however, thousands of jihadists lack a nuanced understanding of information security. Most jihadists’ use of the Internet is rudimentary and typically revolves around using social media and message boards – often without taking necessary precautions to anonymize their identities or protect against adversarial scrutiny. This widespread lack of infosec awareness among jihadists has led to the emergence of numerous pro-ISIS “techies” – individuals who provide infosec advice to help under-sophisticated jihadists protect themselves. In April, chocolate cake had just been served at the Mar-a-Lago summit when President Donald Trump leaned over to tell Chinese President Xi Jinping that American missiles had been launched at Syrian air bases, according to Trump’s account of the evening. What the attack on Syria signaled about Trump’s readiness to attack North Korea was left to Xi’s imagination. Welcome to dinner with the leaders who are now attempting to manage the world’s most dangerous geopolitical relationship. The story is a small one. But as China challenges America’s predominance, misunderstandings about each other’s actions and intentions could lead them into a deadly trap first identified by the ancient Greek historian Thucydides. As he explained, “It was the rise of Athens and the fear that this instilled in Sparta that made war inevitable.” The past 500 years have seen 16 cases in which a rising power threatened to displace a ruling one. Twelve of these ended in war. Today through Friday, artificial intelligence (AI) experts are meeting with international leaders in Geneva, Switzerland, for the inaugural AI for Good Global Summit. Organized by the International Telecommunications Union (ITU), a UN agency that specializes in information and communication technologies, and the XPRIZE Foundation, a Silicon Valley nonprofit that awards competitive prizes for solutions addressing some of the world’s most difficult problems, the gathering will discuss AI-related issues and promote international dialogue and cooperation on AI innovation. The summit comes at a critical time and should help increase policymakers’ awareness of the possibilities and challenges associated with AI. The downside is that it may encourage undue optimism, by giving short shrift to the significant risks that AI poses to international security. Although many policymakers and citizens are unaware of it, narrow forms of AI are already here. Software programs have long been able to defeat the world’s best chess players, and newer ones are succeeding at less-defined tasks, such as composing music, writing news articles, and diagnosing medical conditions. The rate of progress is surprising even tech leaders, and future developments could bring massive increases in economic growth and human well-being, as well as cause widespread socioeconomic upheaval. CAPITOL HILL: The Army is conducting a wide-ranging review of “a whole series of vulnerabilities” in its communications systems that extends far beyond the troubled WIN-T program, the Chief of Staff and acting secretary told reporters today. The review will make recommendations on streamlining IT acquisition in general, not just on specific technologies, Gen. Mark Milley and Acting Army Secretary Robert Speer told reporters after a Senate appropriations hearing this morning. At least some of those recommendations will go to Defense Secretary Jim Mattis for his ongoing strategic review, they added. At least 178 members signed a letter calling for procurement to accelerate, while Senate Armed Services chairman John McCain and Sen. Tom Cotton blasted the system as a $6 billion boondoggle. It was at McCain’s May 25 hearing that Milley brought up the review, where his point that it went beyond WIN-T got overshadowed by the immediate debate. Creating a cyber defense strategy is an extremely difficult undertaking to be sure. Given all that is at stake, it is essential to ensure it serves the needs of the United States today and for years to come. The last thing any of us want is to have to change the strategy every time there is a new actor-led or technological threat, or when some new aspect of the internet and associated technology is implemented. Let’s face it, there are not too many things that are as ever-changing as the internet and all the devices and equipment that gets connected to it! It is worth noting that several commercial and research organizations are hard at work integrating artificial intelligence into cyber defense. While that is an indicator of the complexities of the environment, it should also be worth noting the complexities that come with most cyber defense solution sets. In a broad agency announcement released to FedBizOpps on May 31, 2017, the DARPA Information Innovation Office said that the agency could potentially award multiple procurement contracts if presented with appropriate proposals addressing the needs of the Cyber-Hunting at Scale (CHASE) project. The goal of CHASE is to develop dynamic, data-driven cyber-hunting tools for real-time detection, characterization and protection across DoD enterprise networks, network storage and Internet exchange points. Human operators can’t effectively analyze the amount of data spread throughout DoD’s infrastructure, so CHASE algorithms would strategically process data indicating any vector of attack, shifting focus and protective responses based on the pressure point and type of infiltration. Intelligence analysts are swimming in data pouring in from an array of vehicles and platforms — a problem that isn’t new, but for which government leaders still seek the right solutions. To help stem the deluge and better position analysts and key mission-critical data, intelligence community officials are targeting automation as a high priority, with a futuristic vision for applications down the road as well. The near-term goal particularly centers on analysis of full-motion video that streams in from unmanned aerial systems — “the wolf really close to the door,” as Cardillo put it. But he and other officials also are looking toward future uses for different types of automation, including artificial intelligence. And Cardillo, among others, are looking to partner up for help. “As the commercial industry and academic think tanks and advanced science and engineering schools move to artificial intelligence and machine learning, they’re all desperate to get a hold of some data with [which] to train their algorithms and teach their machines to learn,” Cardillo said. He added that intelligence community leaders, including those at the NGA, are looking at how to safely expose data sets to accelerate development in automated tools.